This is my endorsement of the candidacy of Antonio Pita for President of Sigma Xi, and I urge you to vote for him. Antonio, who is a close friend and has been my mentor within Sigma Xi, is best qualified for this position, one of the most visible and influential in the scientific enterprise. First of all, Antonio is a front rank engineer and scientist. Within this year he has been granted patents on an industrial process to manufacture glass free of bubbles. This is an astounding achievement, to improve a process which has been with humankind since pre-history. Antonio’s process involves two-step progressive heating, with removal of bubbles in the first step through a combined physical and chemical process. Until now, bubbles in glass, including in the finest optical glass, have simply been accepted as part of the process. This was all fine, except for important aesthetic purposes, for macroscopic uses for glass. However, as optical equipment gets smaller and smaller bubbles of the same size are not acceptable, and begin to compromise quality. Applications other than optical benefit accordingly. For your information I copy now my letter to the Executive Officers recommending Antonio’s nomination. Though I am not privy to the recommendations by other members, I am certain there have been many like mine for Antonio. Again, I urge you to study the qualifications of Antonio Pita, and then to cast your vote for him for President of Sigma Xi. For reference, here is Antonio’s full official Candidate Statement. I propose strongly that you consider Antonio Pita for President-elect of Sigma Xi. Antonio, as you well know, is a long-term member who holds several top-echelon offices in the governance of our Society. He is the Chairman of the International Committee, the Director of the Canadian/International Constituency Group, and a member of the Board of Directors and its Executive Committee, as well as the President of the Swiss Chapter. He has served Sigma Xi in exemplary fashion in all of these capacities for his entire tenure. As well, Antonio is a highly respected scientist and engineer. I will not recite his CV here, but it is strong. He is equally at home in the executive suites of major international corporations and in the corridors of political power, as in the annals of the academy. With all his accomplishments he is the quintessential gentleman and scholar. We would be very well served by a Pita presidency. He is precisely the person to guide the Society through the expansion of scientific networking and interdisciplinary collaboration, moving in parallel with international expansion of chapters and members. Again, I urge you to consider Antonio Pita for President-elect. You will hear only positive responses as his name appears on the ballot. 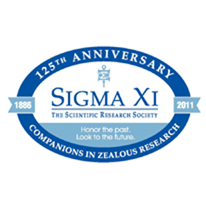 This entry was posted in Blog, Sigma Xi on 07.10.2011 by Paul Carlisle Kettler.